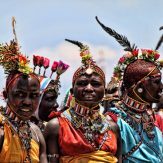 The Laikipia Highlands, in Kenya’s North Rift region, where several pastoralist tribes used to coexist peacefully, have been in recent years the theatre of cattle rustling, tribal clashes, uncontrolled poaching, raids and insecurity. This, coupled with the proliferation of small weapons, rampant unemployment and dwindling grazing resources, has made cattle rustling a way of life for Pokot and neighboring Samburu, Turkana, Borana, Tugen and Njemps tribes. Out of cattle rustling and its subsequent revenges, often bloody clashes between the different tribes erupt. Over the years, many villages have been severely affected and displaced, homesteads burnt, thousands of livestock stolen and hundreds of people, including women and children, killed in the clashes. The Laikipia Highlands Games were founded by Kuki Gallmann, author and conservationist, and launched in October 2008 as joint venture of the Gallmann Memorial Foundation and the Great Rift Valley Trust. 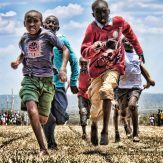 It is an annual sporting initiative aimed at using the fundamental values of sport in fostering good will, build relations, bridge divisions, and harness the natural competitive spirit of youth and the recognized high potential of Kenya Highlands athletes, to engage in peaceful competitions that put their fitness to test, at the same time offering unique opportunities to emerging new athletes. 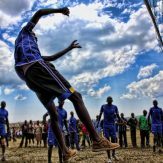 By combining Peace and Sport across such a tremendous array of tribes and communities most often living in conflict, the Laikipia Highlands Games are crucial to the development of a peace process in the area. 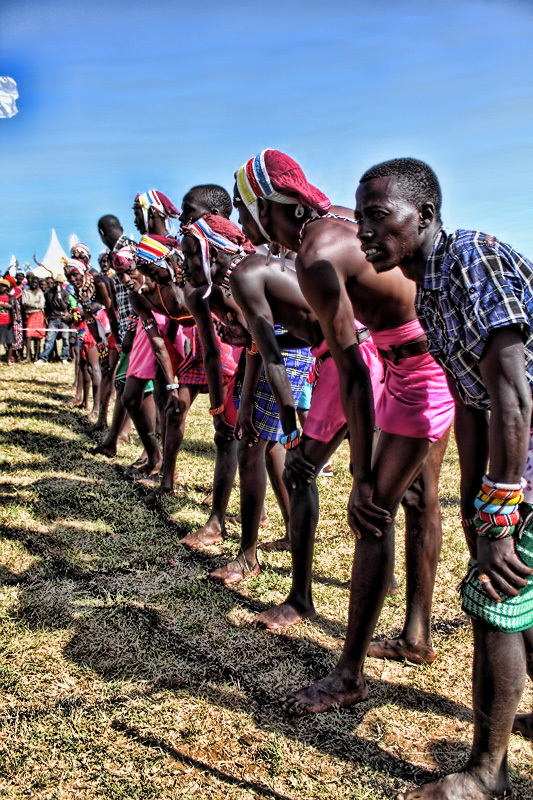 The games are an unusual and exciting combination of modern athletics and colorful traditional tribal games played amongst African tribes since generations. The one day Sport event is one of the few days in the year (if not the only) were the Warriors from the different tribes can meet opponents from other tribes and compete with them in sports. 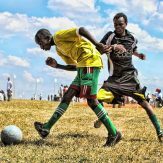 Therefore, The Laikipia Highlands Games are One Day of Peace, for Warriors who are captured for the rest of the year in the deadly routines of cattle rustling and tribal clashes. Click on any of the images on top to navigate through the different galleries!